Ireland's slim quarter-final hope in the World Cup might have ended with a 131-run loss to South Africa in Kolkata on Tuesday, but skipper William Porterfield said they would take a lot of positives from the tournament. 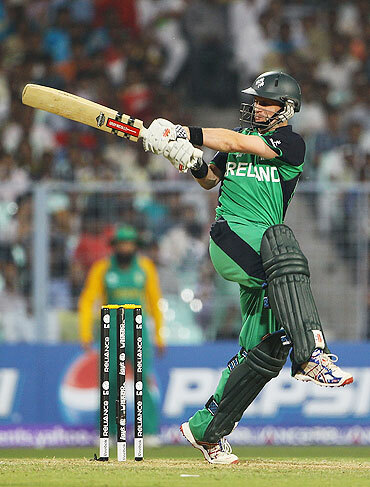 The skipper said chasing a mammoth 328 in their three-wicket win over England in Bangalore was the high point of the World Cup for Ireland. "There's a lot of positive sides (to take back home). The win over England was the highlight. We also bowled and fielded well and got ourselves to winning positions in the matches against the West Indies and India. We will go back with a lot of positives," Porterfield said. Ireland's loss to South Africa at the Eden Gardens on Tuesday meant that their slender chances of qualifying to the last-eight stage are over and they will take on the Netherlands in their inconsequential last Group B match in Kolkata on Friday. Even though he did not pinpoint any one, Porterfield blamed the disappointing batting display for Tuesday's loss. "Our batting was a bit reckless. We struggled with the batting. If we had wickets in hand with 20 more overs remaining, we would have a definite chance with the scores reading 140. It was a matter of keeping wickets," he insisted. "I am really disappointed with the loss especially for the fact that we bowled and fielded well. It's just that our batting did not click. They kept taking wickets and we did not have any chance." he added. Hailing the effort of South Africa middle-order batsman JP Duminy, who scored a man-of-the-match winning 99, the Irish captain said, "We should give credit to Duminy. All credit goes to him. 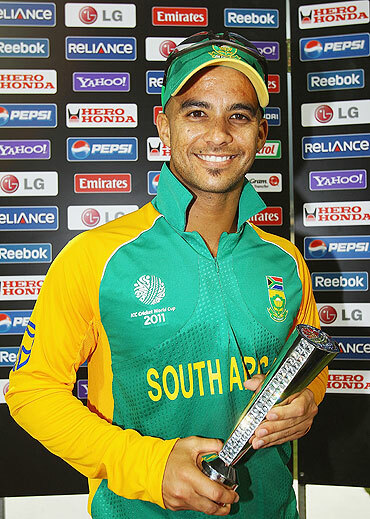 He played an excellent knock and held on the South African innings together." Porterfield also said that South Africa and India are the two tough teams in Group B. "It's hard to say that South Africa are the strongest side in this group. I feel India and South Africa are the strong teams in this group."